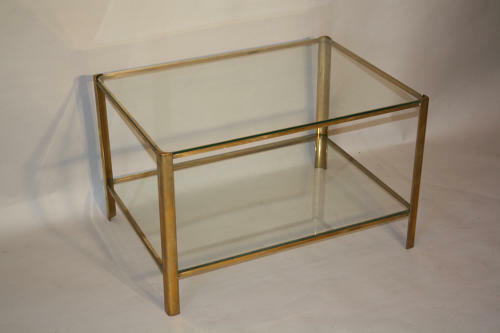 A stunning solid bronze and glass two tier coffee table designed by Jacques Quinet for Maison Malabert. Stamped. French c1960.